Free Steam keys: Win a copy of the new Endurance Series DLC for Motorsport Manager! If you think you’ve mastered Motorsport Manager then you might want to wipe that smirk off your face. This month saw the release of the Endurance Series DLC for the game. Yes, Endurance, which means more drivers, longer races, and new rules. Still think you’ve mastered this game? 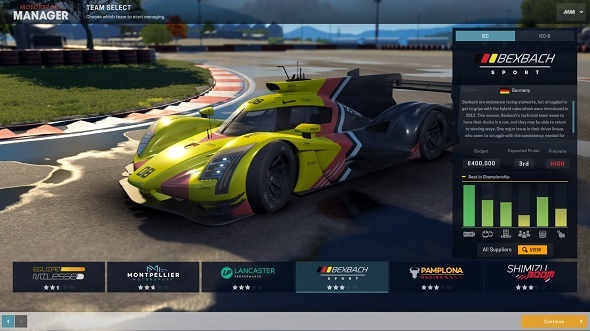 The bulk of the new Endurance Series sees new championships added to Motorsport Manager. This sees 24 cars competing in a single race that can last 90 minutes, three hours, or even six hours. As you might imagine, to cope with that each team has six drivers to swap out over the course of the race. That’s where the new layer of strategy comes in – you’ll need to find the right combination of drivers to succeed, keeping an eye on their alertness and stamina bars. If you haven’t dropped back into Motorsport Manager since this new DLC became available then you should also know it recently got an Anniversary Update to celebrate its first year. The biggest addition it brings is an optimised pit system that lets you hire and fire your crew, but also opens up the possibility of causing fires that will disrupt your entire race. To celebrate the arrival of the Endurance Series DLC we’re giving away 50 Steam keys for it. All you need to do if you want to be within a chance of winning one of them is enter the competition via the widget below.Every action you complete is worth one entry into the giveaway, and the more actions you complete the more chance you’ll have of winning.We’ll also need your email address so we can send you the ticket upon winning – we won’t send you spam, we promise.